Mirror - Where is the mirror from? Love it. OK, now I do have a question after staring at this beautiful photo, what color paint is the grey island? Thank you! Hello! 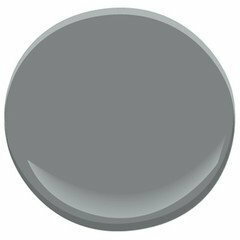 The island paint color is Benjamin Moore Whale Gray 2134-40. Hope this helps! Can you please provide info about the table? Lighting - How far apart are the recessed lights from each other and what size are they? Sorry, the plans are not available. It was a remodel to a private residence. Best of luck! No question, just want to say how great this space is - fantastic. Countertop - How thick is the marble countertop? 2cm or3cm? Thanks! Thank you! 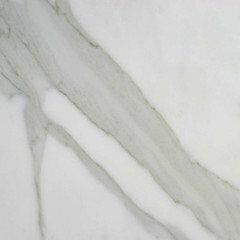 The countertop material is a marble called Calacatta D'Oro otherwise known as Calacatta Gold Marble. It is a grey and white marble with gold, tan, and green veining. The amount and proportion of color varies per batch. The same stone was used on the tile backsplash and inside the open shelves. Hope this helps! That stain color looks a lot like Dark Walnut. I'm sorry I don't know the stain color. We matched an existing color throughout the home, so it was a custom match. Chairs - Where are the dining chairs from? Love all of this! Leigha Heydt the architectural designer selected the island color as well as designing the amazing kitchen! Thank you for looking! The island color is Benjamin Moore's 'Whale Gray', and the cabinets, walls and trim are Benjamin Moore 'Gray Owl'. I love how the chairs Ben picked coordinate so well with these colors! Link - Why is there no link? Whatever happened to manners and etiquette...sigh. Width of triple window - Beautiful! Do you mind sharing the dimensions of the window unit. Specifically the width of the overall window unit, or of each portion. Thank you! The distance from the window to the counter is very low, about 1", which I love. Basically we made it just high enough to make sure the counter would not get above the window somehow. The plugs are installed to the left and right of the sink, instead of on the wall behind. Good luck to you! Backsplash - I loveee this kitchen! Where did you purchase the backsplash from?? Thank you! Thank you! We purchased the backsplash tile from Country Floors. We asked them to cut the 3x12 tiles for us out of honed 12x12 Calacatta marble tiles. Hope that helps! Great!! Thank you so much for the info!!! Kitchen island colour - Hello, could you please provide the colour of the grey of kitchen island? Thanks! The paint color on the island is Benjamin Moore's 'Whale Gray' 2134-40. Hope that helps! what is the finish on the island? Lacquered? Beautiful kitchen- Can you share the name of the wall paint color? - thank you! Hello! The wall paint color is the same as the cabinets and trim. It is Benjamin Moore Gray Owl OC-52. My client loves the neutrality of the color. Hope this helps! Floor color? - Could you please tell me the color and brand of stain used on the floors? Thank you. 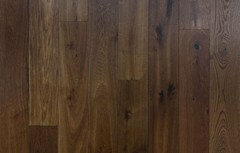 I love those Rift & Quartered Oak floor planks. The finish looks similar to Provincial. Love all of this! - Thank you SO much for sharing paint colors and any other info you have! I greatly appreciate it. Great use of space and color. What are the dimensions of the windows including the transom? I assume you are asking about the windows at the sink? They are 5' tall including the transoms which are 1'-1" tall themselves. The project was a remodel and that was the maximum height we had available due to a structural beam above the transoms. If I had designed the home from scratch, I would have matched the transom height over the sink with the transoms over the pocket doors to the left of the refrigerator. Hope that helps! Kitchen - We absolutely love this kitchen AND dining room. You've done such a wonderful job. It looks fantastic. Great work. Cabinet Hardware - Any info on the cabinet hardware? Love this design! So inviting! Good morning! 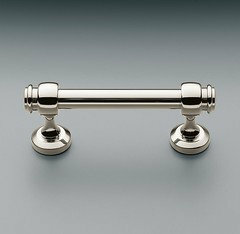 The cabinet hardware is from Restoration Hardware. 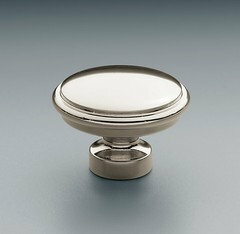 We selected the Lugarno pulls in the 8" size and the Lugarno knobs in the 1" size- both in polished nickel. Hope that helps! Ceiling paint and intensity of Gray owl? - Absolutely gorgeous kitchen! Can you please tell me what was used for the ceiling paint color? Also, did you lighten the intensity of the Gray Owl on the cabinets? It looks much lighter than my eye sees it, but maybe it's all the windows....thanks in advance! Hi! We used BM- Pure White in Flat on the ceiling and we did not lighten the Gray Owl on the cabinets. We used it as is! It is probably all of the natural light in the room that you are seeing as you mentioned. Hope that helps! What is the spacing of the shelves with the back splack behind it? - I am trying to decide on spacing for my similar fixed shelving I am having put it. Thank you!! The shelves have 14" of clear height between them. Hope that helps! Colors - Would you mind telling me the cabinet colors? We used Benjamin Moore 'Gray Owl' on the cabinets and walls and 'Whale Gray' on the Island. Both in satin sheens. Hope that helps! 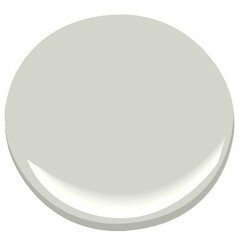 The paint color on the island is Benjamin Moore 'Whale Gray' 2134-40 in a satin sheen. Hope that helps! The color on the cabinets, walls and trim is Benjamin Moore's Gray Owl OC-52 in a Satin sheen. The island color is BM's Whale Gray 2134-40, also in Satin. What material and color is the countertop on the island? - Is this Ceasarstone Noble Gray quartz? Hello! The counters are natural stone: Calacatta d'Oro Marble. Hope that helps! Island color? - Hi there. I love the island. Is it painted in the Gray Whale? It appears to be a deeper color in the photo:) thanks so much. Thank you! It is painted in the standard BM whale gray color in a satin sheen. Perhaps the sheen is making it appear darker to you. Did you select the mirror? If yes, can you tell us more about it? It was selected by Benjamin Dhong Interiors. 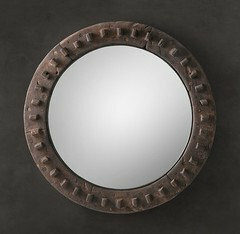 It's the 18th Century European Cog Wheel Mirror from Restoration Hardware. Hope that helps! Love the kitchen cabinets!! - Where did you get the cabinets from? And where in the Bay Area can you get the custom painted? Thank you! The cabinets were fabricated by J. Spix Fine Cabinets in Sausalito. They were finished by Swift Finishing Inc. in Petaluma. J. Spix normally works for architects and builders, off of already completed design drawings, and Swift normally gets hired by the cabinet fabricator. Hope that helps! What is the ceiling height? Thank you! Ah! Good question. It's a finished height of 9'-10". Hope that helps! Is there a seam in the island? Is it book matched? Amazingly no! We found a slab that was just barely large enough to do it in one piece! LOVE this kitchen! Can you give the dimensions of the island please? It was selected by in the interior designer Benjamin Dhong Interiors. It's Seagrass carpet that was measured and cut to fit the family room and dining room in one piece, and then delivered and bound on site. Hope that helps! Love the light above the island! Where is it from? Thanks! - We are looking to do a very similar color scheme for our kitchen renovation and think the light fixture is lovely! Thank you! 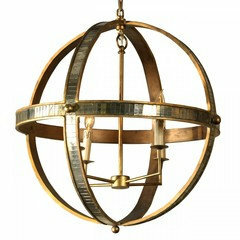 It's the Mr. Brown Galaxy Chandelier with the Antique Mirror Finish. You can find it on Charish for $1777. Here's the link. It's also available in a bone finish. Hope that helps! What color is the island? October: Dining room and entertaining supplies. With the big holidays coming up over the next few months, October is a good time to get ahead of the curve and sort out your entertaining arsenal.Get rid of worn-out and stained tablecloths, placemats and napkinsCount your dinnerware and serving pieces and consider whether you have enough, too much or too little for the amount you entertainGet rid of decor, table linens and serving pieces that you don’t like or that no longer fit your lifestyleHabit to cultivate: Just like creating a wardrobe with lots of pieces that work together, think of creating an entertaining wardrobe that you can mix and match, rather than having lots of distinct sets of dishes. 1. Vary the neutrals. Homeowners enthusiastic about an all-white kitchen sometimes are surprised by just how much white that really is. That’s why designers know to play with a richer mix of hues that offer a bit of interest to the eye while still maintaining neutrality. Chairs blue/white and white fabric with farmhouse table.